ThaBarWa Centre: Can There Be Love Without Attachment? Can There Be Love Without Attachment? Question (Yogi) : Can there be love without attachment? I love my daughter and care for her, her health, etc. I see this is attachment but I don’t see it as a bad thing. Could you define love and attachment; explain what is different or similar…? 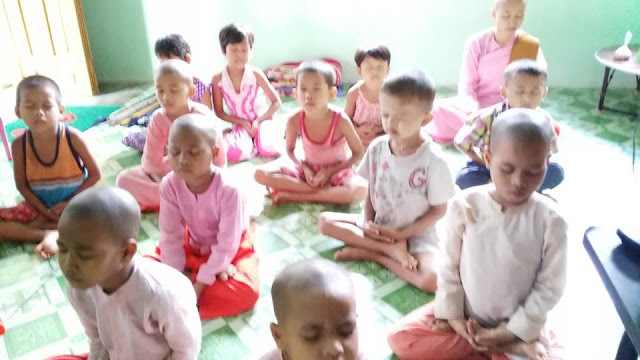 Answer (Sayadaw) : Love is the nature of mind. This is not the problem. The problem is the habit. You love someone; there is “someone” in your mind. There is attachment in the mind. To be free from attachment, we must remove “someone” or “something” from the mind. We must disconnect something and the mind. We must not think about something, not even about ourselves. This habit is possible if you practice. In this way, the mind will be without attachment for something or someone. That mind is very powerful. That mind can live alone, can live by itself. Question (Yogi) : So how does one practice that? Answer (Sayadaw) : You must abandon the habit of the mind; the habit of something; the habit of humans from the mind. Question (Yogi) : What do I replace it with? 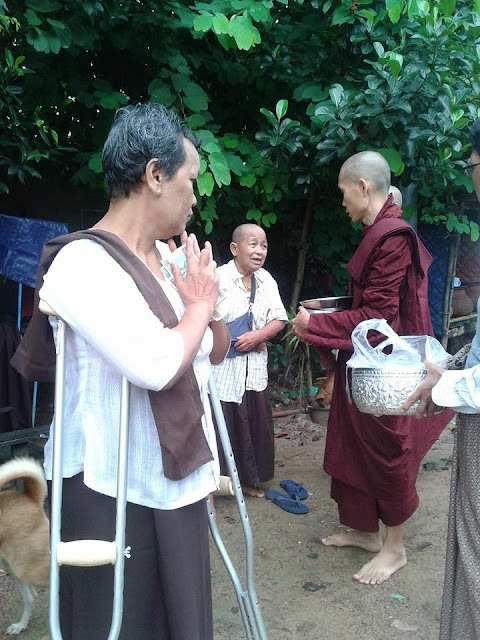 Answer (Sayadaw) : With the Truth. The Truth is mind and matter, five aggregates (perception, feeling, mental formations, consciousness, matter), and Ever New Impermanent Nature. Try to love this Truth … there is no something, no someone, just mind and matter. You can love that Truth. This Truth is permanent. No one is permanent; nothing is permanent but the Truth of mind-matter or Ever New Impermanent Nature is permanent. Love the Truth and your mind will be strong; your mind will be stable. If you love someone, your mind will be unstable. Your mind will be weak; you have to worry because of your attachment to someone. Everyone must die, become old, must suffer … this is the Truth. This Truth is permanent. This is why you must love the Truth which is mind and matter or Ever New Impermanent Nature. In this way, our mind can be free from worry, fear and sorrow. This is a real freedom. No one can be free because the Truth is not someone. The freedom from the misunderstanding of something or someone is real freedom. Not freedom from present or from life cycle or from Universe; the real freedom is freedom from misunderstanding. Thabarwa is a Place for Everyone! !